Let’s take a moment to reflect on where we are and how we got here. The Ryder Cup is an exhibition, meant to celebrate the game of golf on both sides of the Atlantic Ocean every two years. With twelve players on each team, it’s the best of the U.S. against the best of Europe. To take the guesswork out of picking a team, for years the “Ryder Cup” points were awarded at each PGA event so that the top 12 point scorers on each team over 24 months would qualify to play in the big match. 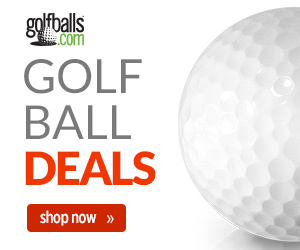 That seems like plenty of time to identify the best golfers. For a long time, the Americans mostly won the Ryder Cup, back when the opposing team was only Great Britain. Then the British team was expanded to include all of Europe, and things haven’t gone so well for the USA since then. In fact, Samuel Ryder’s Cup has resided so seldom in the United States that golf summits have been convened, task forces assembled, and team strategy barbecues have been held in Jack Nicklaus’ house. Recently, the method for picking the team has been altered. Those accrued points are still used, but only the top eight now qualify automatically for the USA team. A full one-third are now “captain’s picks.” Yes, golf, the most egalitarian of sports where the winner is always decided by best score, is now subject to opinions, judging, and even politicking. What are the advantages of injecting subjectivity into team selection? Well, a player who didn’t distinguish himself for most of two years can still get particularly hot going into the Ryder Cup – although this is never an exact science, as the European team has discovered this year with Paul Casey finishing second in the last two FedEx Cup championships after being left off the team by captain Darren Clarke on August 31. A team of the 12 highest qualifiers may also be lacking players with international experience, and sometimes the Ryder Cup venue features a course that a non-qualified player may be well-suited to play. All of these suggest it’s a wise idea leaving the team captain with a little wiggle room to add a player or two. These days the USA allows the captain four picks, and in an effort to help golf steal a few headlines at the start of football season the selection process is drawn out for an entire month. 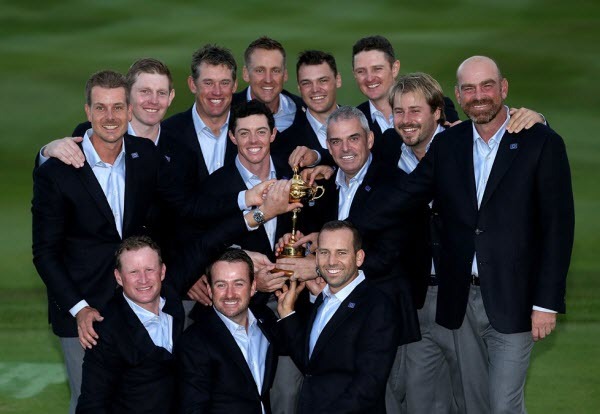 The final selection won’t be made until the eve of the matches, not coincidentally to be revealed by captain Davis Love III on halftime of Sunday Night Football – the network broadcasting the Ryder Cup. 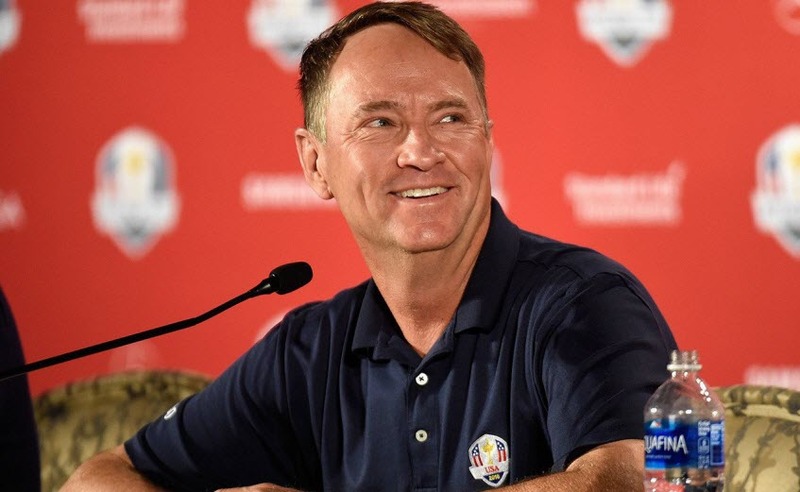 After weeks of speculation – and additional publicity for golf – Love announced his first three “captain’s picks.” He went with three players who all would have qualified via the old system – J.B. Holmes, ranked #10, Rickie Fowler, ranked #11, and Matt Kuchar, ranked #12. Rather than just point out that he had filled out his lineup card with the top ranking non-qualifiers, Love added a bit of reasoning for each player’s candidacy. 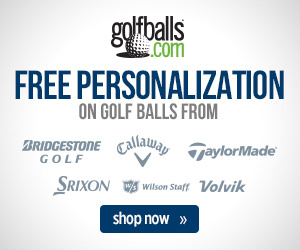 Holmes is a long hitter who should prove useful on the punishing 7,500-yard Hazeltine course in Minnesota. Rickie Fowler hasn’t been playing particularly well – one Top 10 in his last seven outings – but he is a “great teammate” and has played in the past two Ryder Cups, albeit going winless with an 0-3-5 record. 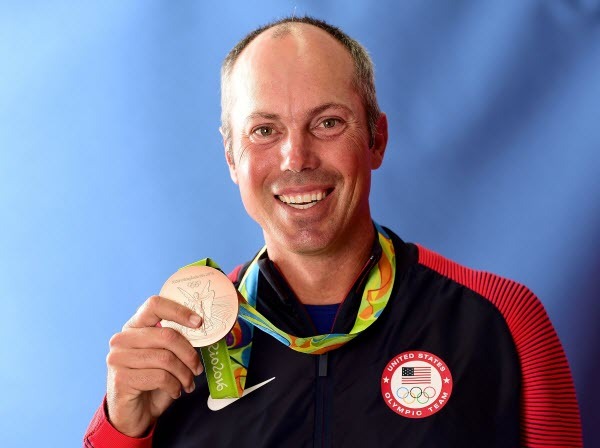 Kuchar is also a veteran of Ryder Cup play, and his case was no doubt helped by his bronze medal-winning performance in the Rio Olympics. So who will be the last “captain’s pick?” The selection of Holmes, Kuchar, and Fowler leaves only one player among the top 12 Ryder Cup point scorers not yet on the team – Bubba Watson. Watson has played poorly this summer but is still the #7 player in the world. He also checks most of the other selection boxes – insanely long drives, experienced Ryder Cupper, and he puts playing for America in events like the Olympics and the Ryder Cup above winning majors. And no offense to the Daniel Bergers, Scott Piercys, and Ryan Moores of the world, but if you’re saving your final pick for a national television football audience you want someone with star power. But what if Love has a real “wild card” in mind (especially as he delivers his word from on high from an NBC sports booth)? Say, elevating one of his assistant captains to a playing role? Tiger Woods is ready to come back to tournament golf. Sure he hasn’t played competitively in over a year, but his addition to the team would instantly make the Ryder Cup the most interesting golf event in years.